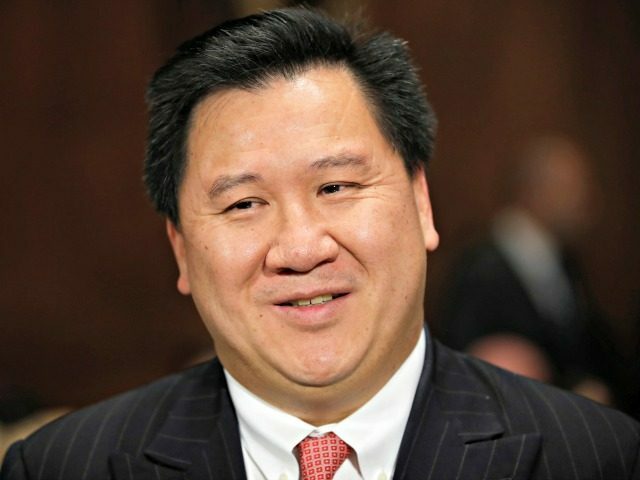 WASHINGTON, DC – President Donald Trump broke the all-time record on first-year judicial appointments to the federal appeals courts on Thursday, as the Senate confirmed James Ho to the U.S. Court of Appeals to the Fifth Circuit, a nominee notable as a racial minority who is outspoken on the importance of constitutional conservatism. Senators voted 53-43 to confirm Ho of the Fifth Circuit, which has jurisdiction over Texas, Louisiana, and Mississippi. Democrats voted overwhelming against Ho, as they have done for all of President Trump’s nominees to the appeals courts. The Federalist Society was a small organization when Ho first joined. It now has over 70,000 members, holding top positions in government, academia, and at major law firms. Ho is 44-years-old and a graduate of the University of Chicago Law School. He clerked for a judge on the Fifth Circuit he now joins, then for Justice Clarence Thomas at the U.S. Supreme Court. He served at the U.S. Department of Justice in the Office of Legal Counsel and the Civil Rights Division and worked as a staff attorney at the U.S. Senate for Sen. John Cornyn (R-TX). He later returned to Texas where he served as Texas solicitor general, and he argued before the Supreme Court in that capacity. He has worked as a partner at powerhouse law firm Gibson Dunn & Crutcher since then, where he routinely does pro bono work to advance conservative priorities like religious liberty. Ho is a man “of deep intellect and deep principle,” a man of “the finest character I’ve ever known,” said Sen. Ted Cruz (R-TX), lavishing praise on the man he recommended for this judicial seat. As a young racial-minority federal appeals judge who is also a devoted originalist, Ho could become the Clarence Thomas of his generation. Thomas became a federal appeals judge on the D.C. Circuit in his early forties, and has served on the Supreme Court since 1991. Asians comprise less than six percent of the U.S. population and voted Democrat over Republican by a margin of 75 percent to 19 percent in the 2016 presidential election. Ho is the 12th judge confirmed this year to the powerful federal appeals courts, setting an all-time record for U.S. presidents during their first year. The previous record of 11 first-year appellate appointments was jointly held by Presidents John Kennedy and Richard Nixon. The Senate has also confirmed six to other federal courts, for a total of 18 thus far. All this has happened in the face of unprecedented obstruction from Senate Democrats, who have attempted filibusters of almost two-dozen judicial nominees this year, and consumed up to 30 hours of floor debate time per nominee in an effort to limit the number of judges confirmed under President Trump. The White House says that Senate Majority Leader Mitch McConnell (R-KY) and Judiciary Committee Chairman Chuck Grassley (R-IA) share much of the credit for the president’s historic numbers. There are currently 23 additional judicial nominees from the President that have made it through the Senate Judiciary Committee and are waiting for a final confirmation vote by the full Senate, including five more nominees to the federal appeals courts. There are a total of 179 seats on the U.S. courts of appeals. President Trump has made 58 judicial nominations thus far to all three levels of the federal judiciary, and has 80 more vacancies to fill. More nominations are expected in January. Attorney General Jeff Sessions and White House Counsel Don McGahn have been intently focused on judicial appointments, directing their respective teams at the U.S. Department of Justice and the White House to focus on well-credentialed, verified conservatives to fill those vacancies. 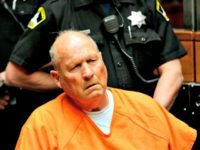 President Trump commented in October that his judicial appointments would create a 40-year legacy that would long outlast his tenure in office. Judicial appointments were the top issue for 21 percent of voters in the 2016 elections. Those voters favored President Trump over Hillary Clinton by a margin of 57 to 41 percent. Judicial nominations and confirmations are likewise expected to be one of the top issues in the 2018 midterm elections, fueling Republican hopes of increasing their margin in the narrowly divided U.S. Senate.